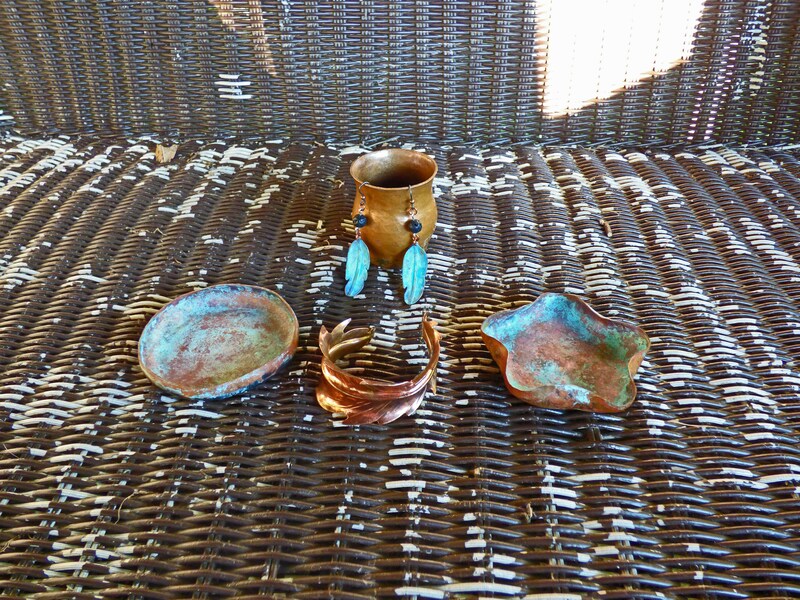 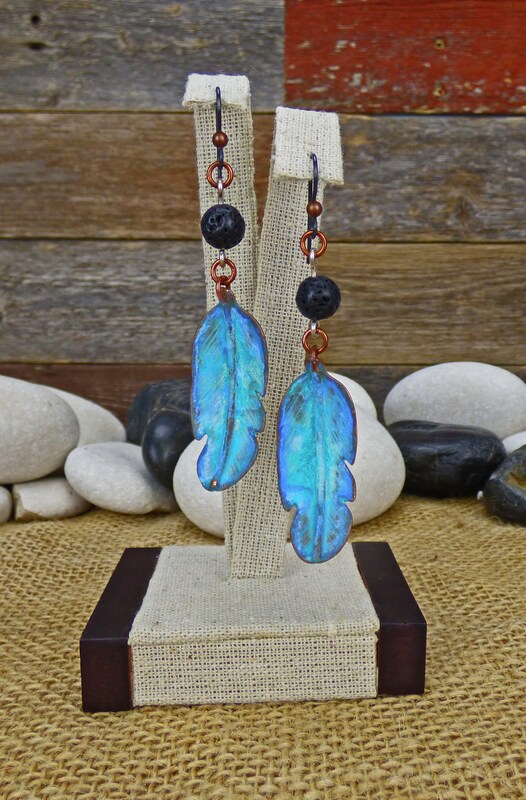 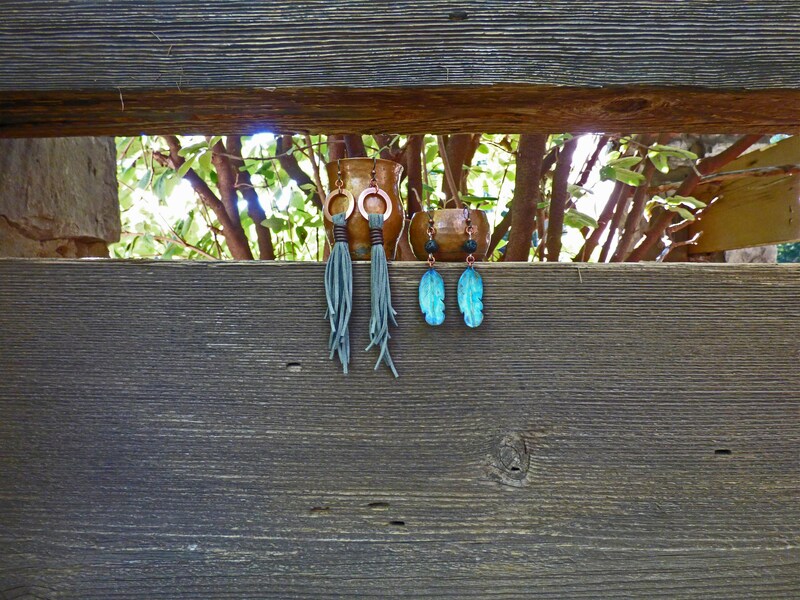 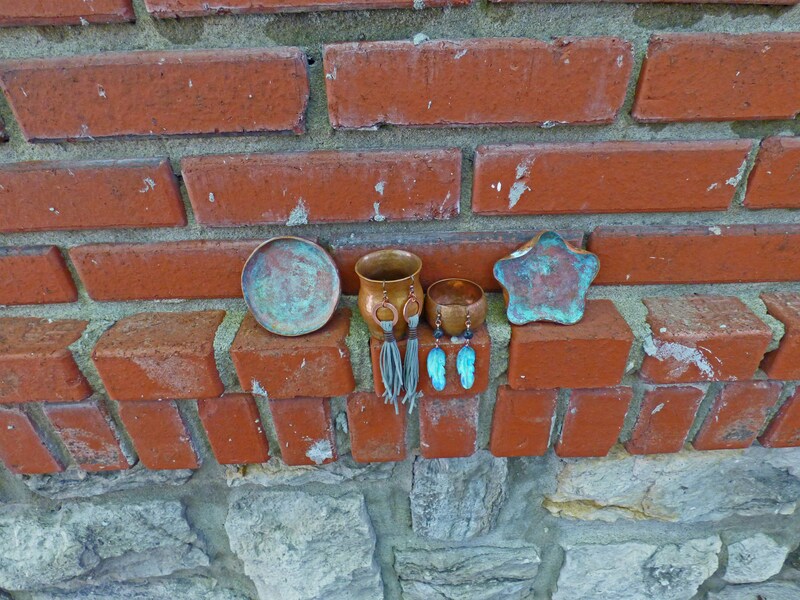 The blues and greens that come out of copper from the patina process can be mesmerizing! 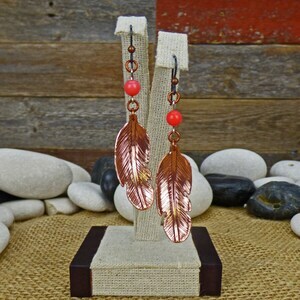 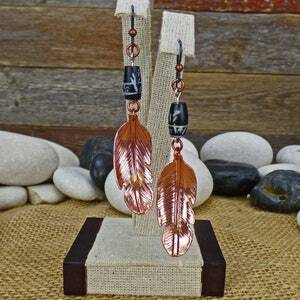 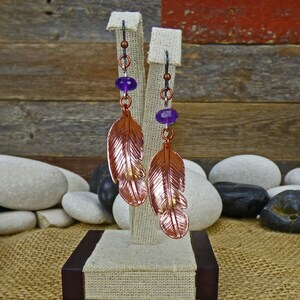 Adding to the natural beauty of the hand shaped copper feather to create something magnificent! 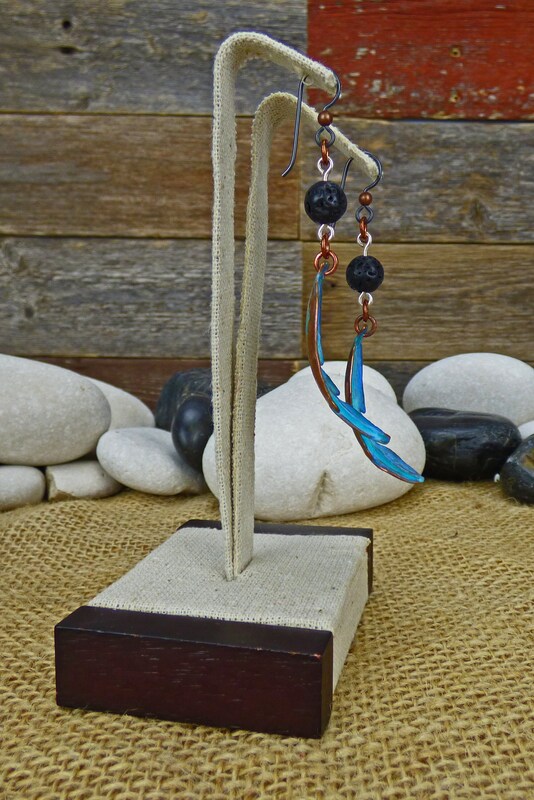 Topped with a Lava Rock bead. 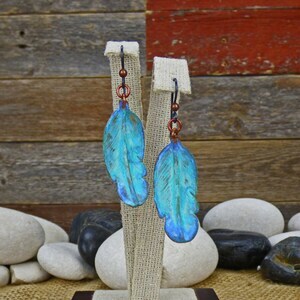 Finished off with a high quality Niobium ear wire to keep them secure while you wear them.